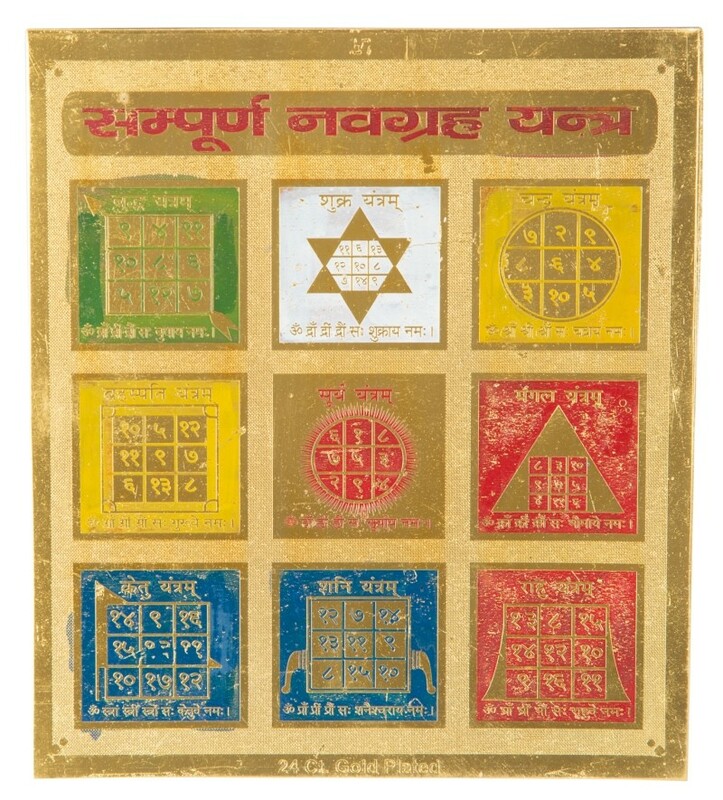 Sampoorna Navgrah Yantra 5" x 5"
Home/Rituals/Yantras/Sampoorna Navgrah Yantra (Remove negative effects of planets) - 5" X 5"
This Yantra is a good quality and made of heavy metal. It is thicker and bigger than usual yantra and is of Size: 5" x 5". This Yantra helps negate the malefic effects of the nine planets and bestows beneficial effects. It consists of nine squares, each with a talisman representing one planet. The nine planets that influence humankind are Sun, Moon, Mars, Mercury, Jupiter, Venus, Saturn, Rahu and Ketu. 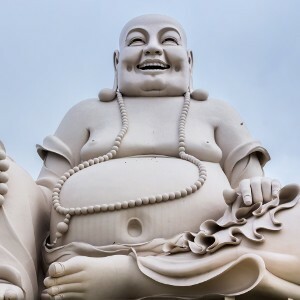 It is extremely useful for worship to strengthen benevolent planets by increasing their positive influences. At the same time, this Yantra pacifies malefic planets and netralizes negative effects. The NavgrahYantra is recommended for all individuals whose birth charts indicate negative positioning of planets within the horoscope that can afflict one's health, prosperity and peace of mind. Lifelong worship of the NavgrahYantra maximizes advantages from planetary influences.